Home » Hairloss & Hair Growth Pills » Hairfluence » Hairfluence Review – Will these Pills Grow The Hair Naturally As Claimed? Read Reviews or Side Effects!? Hairfluence Review – Will these Pills Grow The Hair Naturally As Claimed? Read Reviews or Side Effects!? The impacts of hair health and appearance in one’s personality cannot be overemphasized. No wonder most folks always want their hair to look natural and healthy. In an effort to get some effective hair growth and hair enhancement products, I stumbled upon the Hairfluence. Hairfluence claims to be all we need to completely re-grow lost hair, improve the appearance of our hair, plus other benefits. One may want to know the components that make it as effective as it claims and the how it works to achieve its claims! My major objective here is to gather as much information as possible about this product and put them together for a better understanding of what it will or will not offer. Going through the product’s official website and other places, it seems the manufacturer will have the information we need. Grab some refreshments and follow the review! 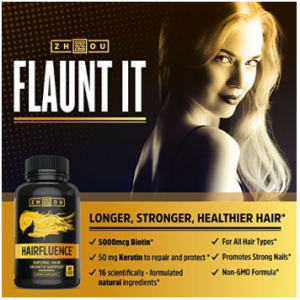 Hairfluence promotes to be an all-natural hair growth formula. It is made by Zhou Nutrition; a U.S based company. 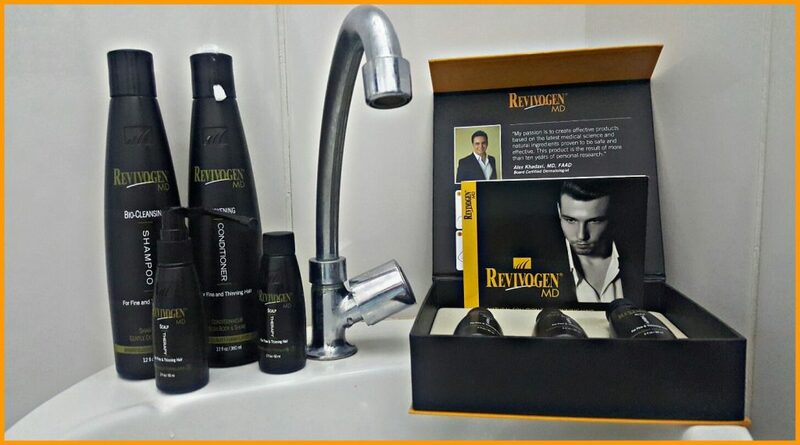 The company shares that by using this product, the issue of hair loss should cease while we grow stronger, fuller and healthier hair. Undoubtedly, one of the root causes of hair loss is nutrient deficiency. The fact that one cannot get the whole nutrient needed by the body in food eaten is another problem. The company mentions that Hairfluence should complete our diet, promote healthy growth and achieve a natural volume and vibrancy we can boast of. According to them, we do not need some expensive creams, shampoos and/or harsh chemicals to stop hair loss. It is said to have positive side benefits of glowing skin and healthy nails. The formulation is said to be made in an FDA approved facility in line with Good Manufacturing Practice standards. Each bottle of Hairfluence contains 60 capsules and the direction is to take two capsules (one in the morning and one in the night) daily. 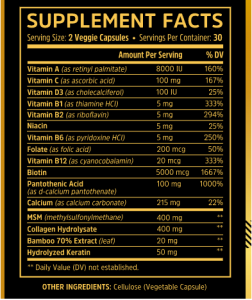 The supplement should be consistently used for best results. Also, a large population of past users of this product gave a five (5) star review about it. This could mean that the manufacturer’s claims are real. However, we cannot make our inferences here as we should see other details about the formula for a better conclusion. Hairfluence is said to contain a natural blend of several essential vitamins, minerals and amino acids. These should include Vitamin A, Vitamin C, Vitamin D3, Vitamin B1, Vitamin B2, Niacin, Vitamin B6, Folate, Vitamin B12, Biotin, Pantothenic Acid, Calcium, MSM, Collagen Hydrolysate, Bamboo Extract and Hydrolyzed Keratin. The manufacturer of Hairfluence explains that the product’s hair enhancement benefit is a result of the synergistic effect of its components. Biotin: This prevents hair loss, hair breakage and promotes healthy hair growth (for new and existing hair). Bamboo Extract (Have 70% Silica): With a high concentration of Silica, bamboo extract nourishes vital tissues in the hair, the skin and the nails for a more youthful appearance. Collagen (Hydrolyzed): This enhances cell growth in the hair, the skin and the nails. MSM (Methylsulfonylmethane): This enhances the body’s secretion of collagen and promotes healthy skin and hair. Keratin: This helps in protecting and repairing damaged hair. Vitamin C: This acts as an antioxidant and enhances immune function at a cellular level. It makes the skin and the hair healthy. Folate (As Folic Acid): This plays key roles in developing healthy DNA; a step that controls healthy tissue growth and other cell activities. Vitamin B12: This helps in nourishing the scalp and the hair follicles. Vitamin A: This Serves as an antioxidant and promotes the formation and maintenance of healthy cells. Vitamin D3: Enhances the development of new hair follicles. 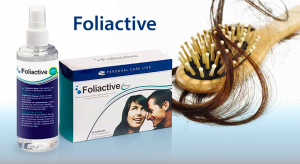 It revitalizes dormant follicles for a fuller hair appearance. Thiamin: This supports lush and stronger hair look. Who Can Use Hairfluence ? 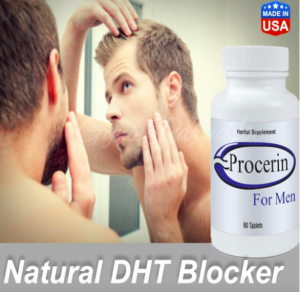 As stated in the manufacturer’s website and in other websites that market it, Hairfluence is a hair loss treatment supplement for men and women. The manufacturer’s description also implies that folks who want healthier hair, skin and nail look will find the supplement beneficial. My in-depth research about this product shows it has been reviewed by men, women, older and younger people from different ethnic backgrounds. Hairfluence is not for people who are under the age of 18. Also, it is not to be used by pregnant women. The supplement may not work for everyone. 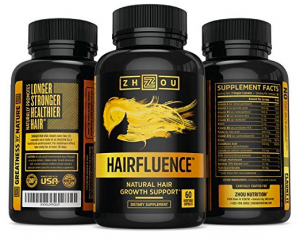 Zhou Nutrition seems to stand behind the Hairfluence hair re-growth supplement with a 60 day money back guarantee. So, if we feel that the supplement is not working for us, we can simply write them an email as directed in their official website for a refund. The constituents used are said to be effective and of high quality, hence should not cause any side effect. The product manufacturers mention to offer live customer support as well as a contest where we as customer users can win free products. Also, we can get a 15 percent discount on our next order by joining the company’s mailing list. Zhou nutrition does have contact information with which we can communicate with them. With over 2000 customers’ feedbacks about Hairfluence, it is said to be Amazon best seller hair re-growth supplement. Comparing the various feedbacks given, I could see more of positive recommendations. On the other hand, the ingredients in Hairfluence are known and their respective concentrations in the supplement were outlined. Similarly, Zhou Nutrition seems to be known in the industry and they seem to follow strict guidelines and standards. 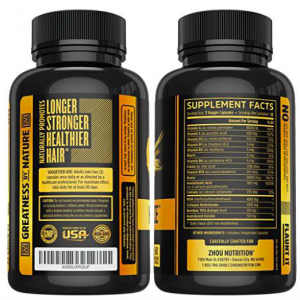 The product label looks professional and the fact that prospective users who may doubt the effectiveness of the supplement are covered by their refund policy is a plus. At this juncture, I am supporting the fact that Zhou Nutrition stands behind all their products. So, we can check out the Hairfluence on Amazon and see the effects ourselves. Make sure to leave your comments underneath at the bottom of this review. It’s my pleasure to hear from you! Previous Post NuNutrients Advanced Hair Regrowth Treatment for Men – A Complete Review from Results! Next Post Rejuvalex Advanced Hair Growth Formula – Is This Rejuvalex Hair Growth Really Effective? Reviews Here!